It was created by Sports England after research suggested a fear of being judged was putting some women off exercising. It has been watched over 1.2 million times in less than a week. The clip features women of all ages exercising and playing sport. Sport England said This Girl Can is aimed at getting more women and girls active following research showing that millions are afraid to exercise because of a fear of being judged. It is the first of its kind to feature women who sweat and jiggle as they exercise. It seeks to tell the real story of women who play sport by using images that are the complete opposite of the idealised and stylised images of women we are now used to seeing. The campaign doesn't hold back in trying to encourage women to beat their barriers. "Sweating like a pig, feeling like a fox" and "I kick balls, deal with it" are among the hard-hitting lines used in the campaign to prompt a change in attitudes and help boost women's confidence. Research by Sport England found that 2 million fewer women between the ages of 14 and 40 play sport than men. Concern about being judged over appearance, ability, or perceived vanity was said to be putting some women off exercising. 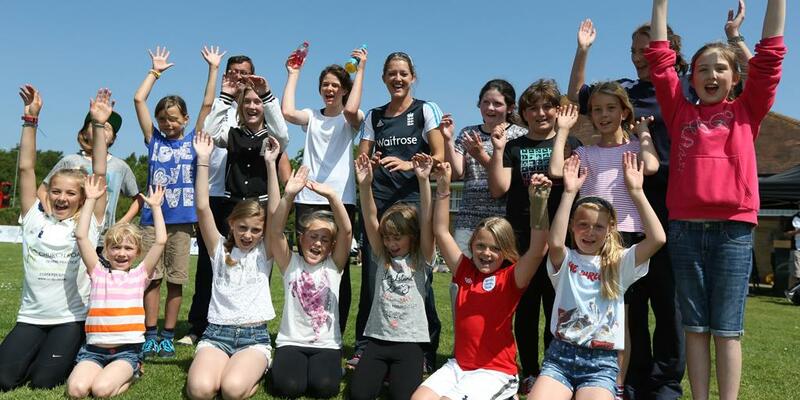 Sport England CEO Jennie Price said: “Before we began this campaign, we looked very carefully at what women were saying about why they felt sport and exercise was not for them." "Some of the issues, like time and cost, were familiar, but one of the strongest themes was a fear of judgment. Worries about being judged for being the wrong size, not fit enough, and not skilled enough came up time and again." She added: "Every single woman I have talked to about this campaign – and that is now hundreds – has identified with this, and it is that fear of not being ‘good enough’ in some way, and the fear that you are the only one who feels like that, that we want to address." 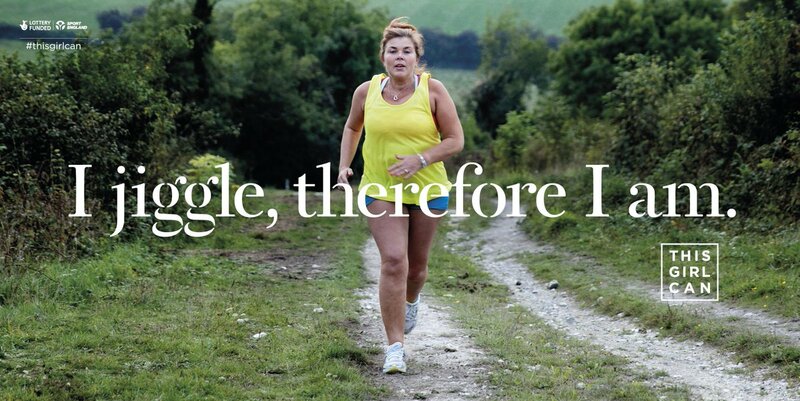 Love the #thisgirlcan campaign to encourage &amp; celebrate women &amp; girls being active. Love the #thisgirlcan campaign to encourage & celebrate women & girls being active. And the campaign has now gone viral, spreading across social media sites and attracting a huge number of views along the way. You can find out more about This Girl Can here.